UPDATE: Please contact us for updated searches of affordable homes in San Diego. Last week I discussed what homes you can purchase in San Diego for about $700,000. This week I want to share some examples of Affordable Homes For Sale in San Diego County. Affordable housing looks different in every part of the country. Unfortunately we don’t have the same purchasing power here in San Diego as you might have in Texas or Florida but let’s quickly look at a few options. 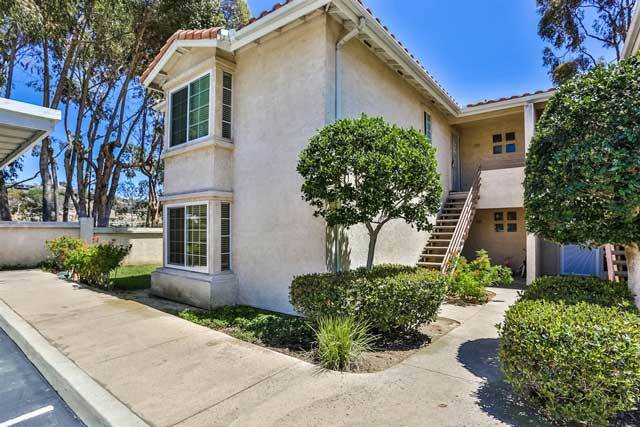 Spring Valley Condo For Sale – If you are willing to purchase a condo in the Spring Valley area which is about a 15 minute drive from downtown San Diego here is a lovely 2 bedroom, 2 bath, 1,050 square foot condo listed for $240,000. Not all complexes are VA approved but it’s certainly possible to find some nice options at a reasonable price. San Diego Home For Sale Option – If you’re looking for a home here is the smallest home currently for sale in the city of San Diego that would qualify for financing. It’s located in City Heights, about a 5-10 minute drive from Downtown San Diego. This home is features 1 bedroom, 1 bath and 380 square feet for $339,000. The reality is that most people will require a home that is larger than 380 square feet. If you’re willing to live a little further outside of the city there are some excellent options in El Cajon, Escondido, Oceanside and Chula Vista. North Escondido Home For Sale – Here is a nice home for sale in Escondido priced at $425,000. This home features 3 bedrooms, 3 baths with 1496 square feet. Oceanside Home For Sale – To give you an idea of location it is located about 40 minutes from Downtown San Diego but if you’re unfamiliar to the area this is not a big deal. Many people who live up in North County rarely come south. You will find a lot of people are able to work and commute in the area they live in and avoid long work commutes. This home in Oceanside is priced at $425,000, it features 3 bedrooms, 2 baths, 1,488 square feet and a 2 car garage. Chula Vista Home For Sale – Here is one of the newest and lowest priced homes currently for sale in Chula Vista. This home features 3 bedrooms, 3 baths, 1,410 square feet and a 2 car garage. Priced at $459,900. 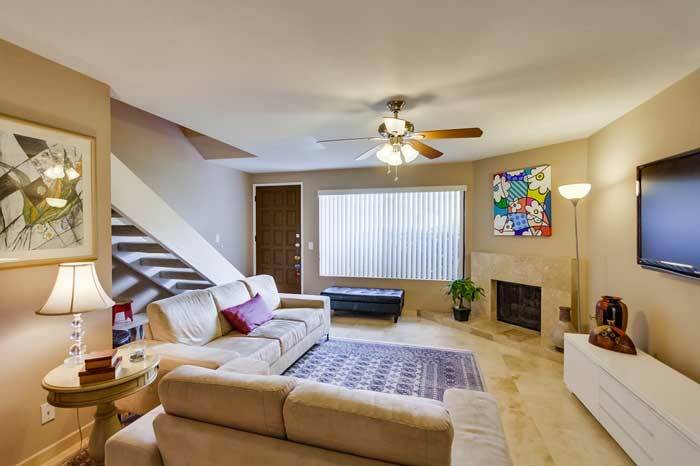 Mission Valley Condo For Sale – One of my favorite areas in San Diego that I think is a great long term investment and will always be in demand if you need to rent is Mission Valley. You can still find a few VA and FHA approved condo options for sale. 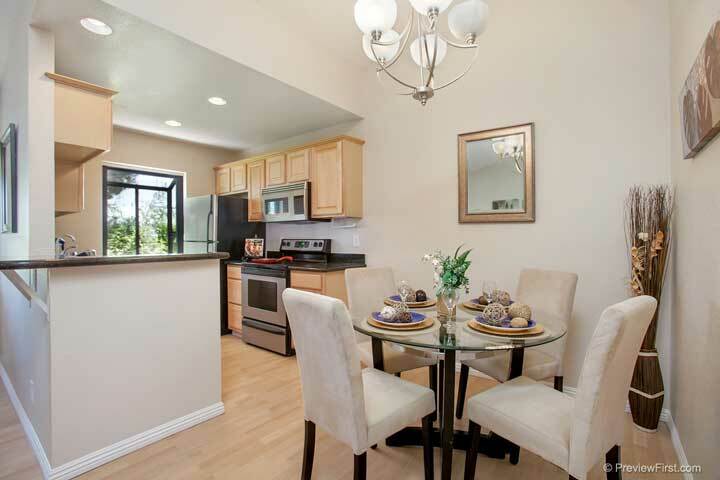 This condo is currently for sale in Mission Valley, it features 1 bedroom, 1 bath & 530 square feet. It is listed for sale at $279,900. These are 4 examples of homes that would be considered affordable first time home buyer opportunities in San Diego. If you’re interested in learning more about the home buying process or need assistance buying or selling real estate in San Diego please contact us. Also, if you’re a real estate agent looking for a real estate career in San Diego please contact us. We are experiencing a strong real estate market right now with many great investment opportunities out there – but you have be proactive and seek them out. To get a leg up on the competition you must think outside the box and be willing to do what other property investors are not. One such example is buying the ugliest home on the block and improving it. Not only can you find such homes at bargain prices, you can greatly improve their resale value with minimal investment on your part. Another option is buying a 2 bedroom / 1 bath home and then adding 700 square feet and an extra bedroom and bathroom. Turning a 2 bed / 1 bath home into a 3 bed / 2 bath means you are creating equity on your property instead of just sitting back and hoping the price goes up – something every investor should strongly consider. In a hot real estate market there is no shortage of investors looking to make a quick buck, but few are willing to go the extra mile and add additional square footage to an existing property to significantly increase its resale value. We are happy to show you real-world examples of this and work with you to find these types of opportunities. Below are two such examples from recent projects. As always please keep us in mind for all of your real estate needs and don’t hesitate to contact us if you need help or have a question. What does $400,000 buy you in San Diego County? Wondering what you can afford to buy in San Diego? What does $400,000 buy you in San Diego County? According to the latest figures from SDAR, the current median price (as of August 2015) in San Diego is $555,000 for detached homes and $341,000 for attached homes. House prices rose 9% and 5% for detached and attached homes from a year ago. These prices may put prospective homebuyers off, but the reality is that there are many excellent bargains still to be had all over San Diego. We wanted to give you a better idea of what $400,000 could buy you in San Diego County so we have put together a summary of what some of the larger communities within San Diego currently have for sale. As you can see you get a lot more for your money in certain areas of San Diego. This is just the tip of the iceberg. Feel free to search our website for more bargains or contact us and see how we can make your budget work for you! Looking for a Luxury La Costa Home For Sale? 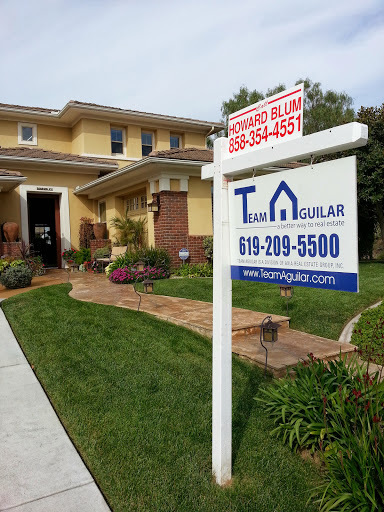 Team Aguilar agent Howard Blum just listed this stunning La Costa home for sale. A home perfect for entertaining, relax and enjoy the luxurious lifestyle/comfort in this gated Balearas home at 6837 Citrine Dr, Carlsbad, CA 92009. Feel the ideal, breezy elevation from the backyard and enjoy the views of the La Costa Golf Course and western sunsets. New Solar setup makes this an extremely cost effective proposition! Two sound systems, one in master suite and 1 downstairs to control the ambiance. The Home also comes complete with a jacuzzi! Call Howard at 858-354-4551 with any questions or to schedule a showing! A quick update on Downtown San Diego Inventory for sale. The Downtown real estate market continues to stay hot. We have not seen anything sell for less than $500 / foot in a few years now. We continue to see an upward swing in value and I would expect it to continue for the next few years. As long as interest rates remain reasonable and we see values in the $500-1,000 square foot continue to see sales and new listings come on line. When you compare San Diego to other international markets values in San Diego are a bargain. Locals may have a difficult time seeing this but that is why so many foreigners are coming in and purchasing property as quickly as they can. It’s a no-brainer and real estate in the United States continues to be one of the safest places to park your money. Remember to check back for regular updates as we will always have a Downtown 92101 Market Update posted here every month. We just listed a condo for sale and wanted to share the aerial video we created using our new real estate drone. Please view video below and review the information about this particular condo for sale. Remember if you’re looking to sell a home in San Diego County please contact us for a free market analysis. New Condo for sale in CityFront Terrace. This is the largest 1 bedroom condo in CityFront Terrace. Located on first floor with french doors leading to your private patio and easy access to the Marina District. This condo features 2 levels of open layout with lots of natural light from large first and second floor windows. If you’re looking for a building with amenities equal to a luxury Manhattan apartment, this is your opportunity to own that and more in CityFront Terrace. 24/7 concierge service, gym, pool, spa,library and luxury common areas. To search for homes in the CityFront Terrace development please visit the condos info page here. To search for all homes & condos in the Downtown San Diego area please search for homes in the 92101 zip code where you can find other condos for sale. Marina District Condo for sale. New Carlsbad Home for Sale! Team Aguilar has just listed a gorgeous Carlsbad Home for Sale in the 92008 zip code. This custom Cape Cod style home has 3 Bedrooms and 2.5 baths. Custom upgrades include Slate floors, French doors, Milgard windows and Central A/C. This home is move-in ready. The added addition above the home is absolutely stunning and can be used as a bedroom, office, or perhaps even rented as the new owner see fit. Featuring a large back and front yard, this home is centrally located within walking distance to all three area schools — the elementary, middle, and high school – this home is ideal for anyone wanting to raise a family in one of the best school districts in California. Close to everything one could desire in Southern California, this home sits one mile from the Beach and is very close to Downtown Carlsbad in addition to numerous parks, basketball courts, tennis courts and soccer fields. Very reasonably priced at $769,000, this home won’t be on the market long. Contact Howard Blum or Fred Blum at 619-366-2000 for showings. 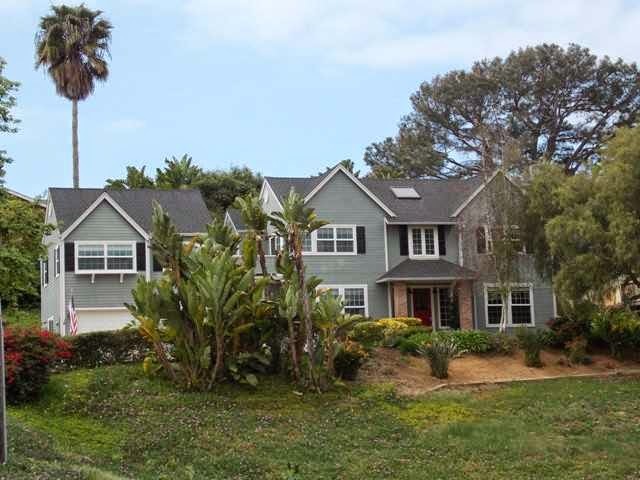 Search Carlsbad Real Estate for sale HERE and remember to check back for other new listings. This Carlsbad Home for Sale sold within 30 days and is no longer on the market but contact us for more information on other new listings. New San Elijo Hills home from Howard Blum. Just came on the market. Stunning home in San Elijo Hills just listed. Located at 1670 Milan, 92078, this luxurious home in an exclusive and family friendly gated community is perfect for entertaining and raising a family. Immaculately cared for by single occupant, this corner lot in the Azure neighborhood of San Elijo Hills could be just what your client is looking for. Complete with a large granite counter topped kitchen, Kitchenaid appliances including double oven, 4 bed/3 bath including full ground floor bathroom, spectacular Master Bedroom, 3 car garage (with the single garage converted to office, easily restored to original use) and ample storage space. Additionally, our listings corner lot with an added balcony complete with Ocean View will allow your clients to take in all that San Diego has to offer. 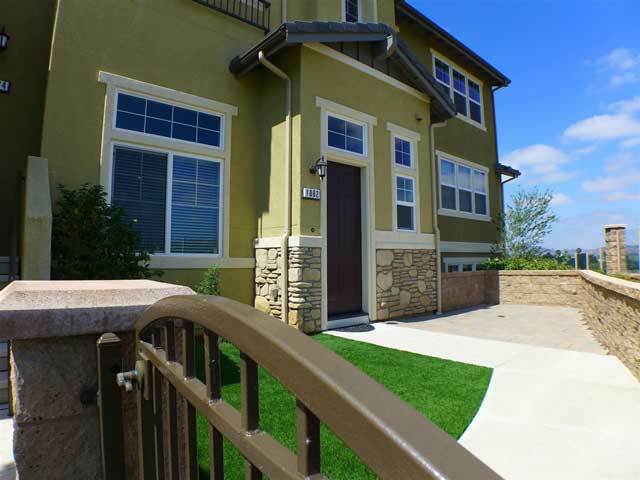 If you’re looking for a great home in a wonderful community San Elijo Hills may be the right community for you! In addition to wonderful homes like this one it’s a newer community with wonderful schools, local parks and great neighborhoods geared towards younger families. It’s in the Northern part of San Diego County but it may be one of the most affordable areas in North County if you’re looking for a home built in the last ten years this is the spot for you. Remember to check back for regular updates. We always seem to have a New San Elijo Hills Home coming on the market every couple months. San Diego Real Estate Market Update, Prices Up, Foreclosures Down! Market update for May 2013, homes prices rises while foreclosures and distressed home sales are at the lowest they have been in 6 years. Yes we have a new 1 bedroom for sale for $496,000. It’s actually a good deal when you comp out what other units in this building are going for. Check out these pictures. Make sure you expand the post to view all photos! Bedrooms: 1 – Baths: 1 – Sqft: 905 with 2 Spaces! Check out the views from the 20th floor. As you may know from my previous posts the East Village / Gaslamp area of Downtown San Diego is one of my favorite spots to live in. Looking for a Urban Downtown San Diego Condo? 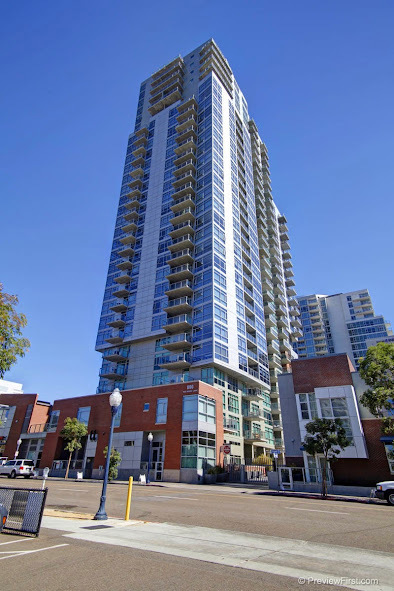 Check out all condos for sale by visiting the Downtown San Diego real estate page here. Although this Bank Owned Condo has already sold and foreclosure listings are way down be sure to visit our page that features all San Diego Foreclosure listings as well as our page for all San Diego Short Sale listings. It’s updated daily. UPDATE to this post below. Erika has now been working has an immigration attorney for the past 5 years. If you know anyone who is looking for an excellent immigration attorney in San Diego please contact her. On another note, my wife was sworn in as an attorney here in the state of California last Friday. Just what California needs, another attorney, right? I am so proud of her hard work. You can view the video I took here. If you didn’t know, she is an attorney from Mexico and learning a 2nd language is one thing but being able to master it to the point to pass an exam like the CA Bar is an amazing accomplishment. Of the 85 foreign educated attorneys who took the exam. She was one of the 14 who passed! Way to go Erika! She is currently working for a law firm here in San Diego as a paralegal. SO if you’re looking for an attorney who is licensed to practice law in California as well as Mexico she would love to hear from you! Lastly, I hope everyone on the East Coast gets through this storm. Stay safe to all of my friends and family!